Horror enthusiast, collector, and creator. Resident Evil 6 sure is a popular topic today. Of course I know that, I’ve been here reporting on it all day. However, even more new light is shed on the game’s narrative and characters through the official Japanese website, which includes new bios for all of the characters. They’re in Japanese, but we offer a better translation for those who would like to get to know more about the S.T.A.R.S. of Resident Evil 6. 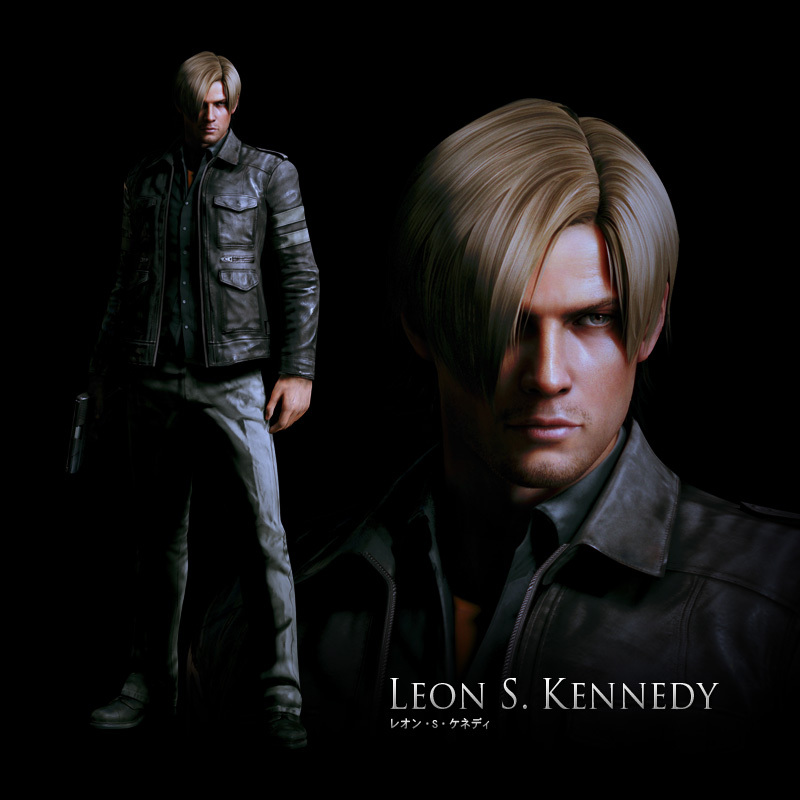 Leon, the man who was able to survive the Racoon City incident, and became an agent of the United States. Doing a number of dangerous missions, he had gotten to work under the president with direct control of other government agents, and the man who the President has put the most trust into. Ever since the events of the nightmare in Raccoon City, Leon has held a brooding resentment for bio-terrorism that is particularly strong. When confronted with his old friend Adam, the president, completely changed from the effects of a bio-terrorist attack to nothing more than another monster, he has to make a tough decision. Helena Harper, the woman who confessed it is her fault that this incident is happening. Just as Leon, she is a US agent. During the occasion of the incident, Helena was being transferred to the US Secret Service, while being partially entrusted with securing the president. In contrast with Leon, who is striving to resolve the situation, Helena tearfully confesses that she is the one to blame for it. It is questionable to where Leon’s “voyage” will end up, after taking into consideration the truth that Helena “possesses”. Chris Redfield, the commanding officer of the anti-bioterrorism BSAA, is dispatched to China along with his BSAA team members, to rescue an abducted United Nations’ high official from the unprecedented bio-terrorist attack mayhem that has broken out over in Europe. Simultaneously, another large-scale Bio-terrorist attack is carried out in the US during the President’s press speech. Chris wonders to himself whether this tormenting question is that what drives him to face and confront his former self. While soliloquizing his personal tribulation, he arrives to the chaotic Chinese city. The situation over there has exceeded the worst expectations, with constantly-regenerating bio-organic weapons attacking, ruthlessly and mercilessly, Chris’ comrades. One after the other, Chris’s team members die in front of his eyes. Embracing his burning wrath against the person who induced all of this bio-terrorism chaos, Chris is determined to keep on moving forward even if it costs him his own life. The situation is without a doubt desperate. Is there any way to escape from the worst circumstances ever imagined? 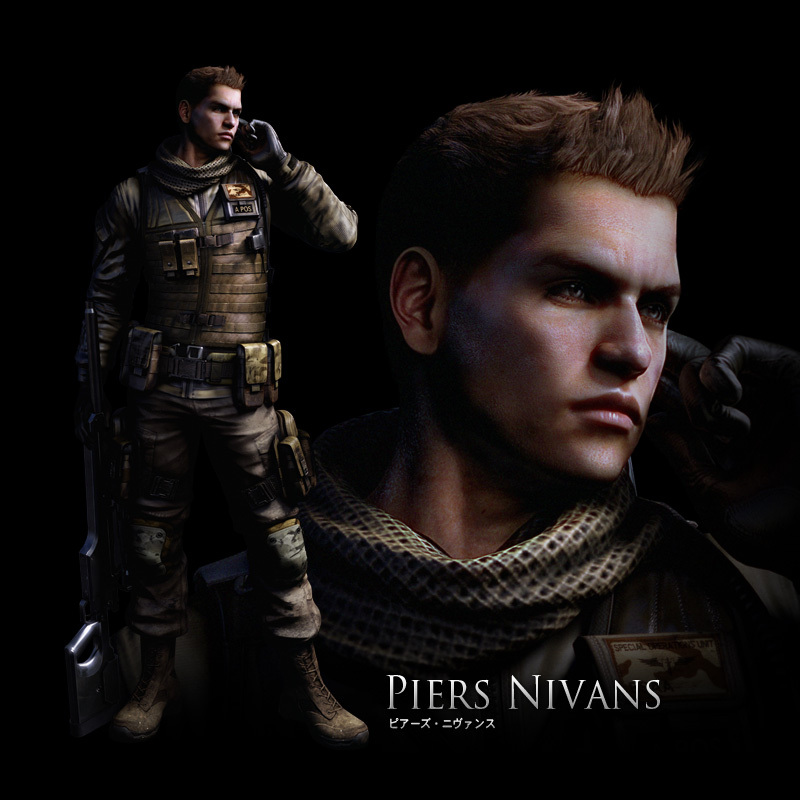 Piers Nivans, the young ace of the BSAA. 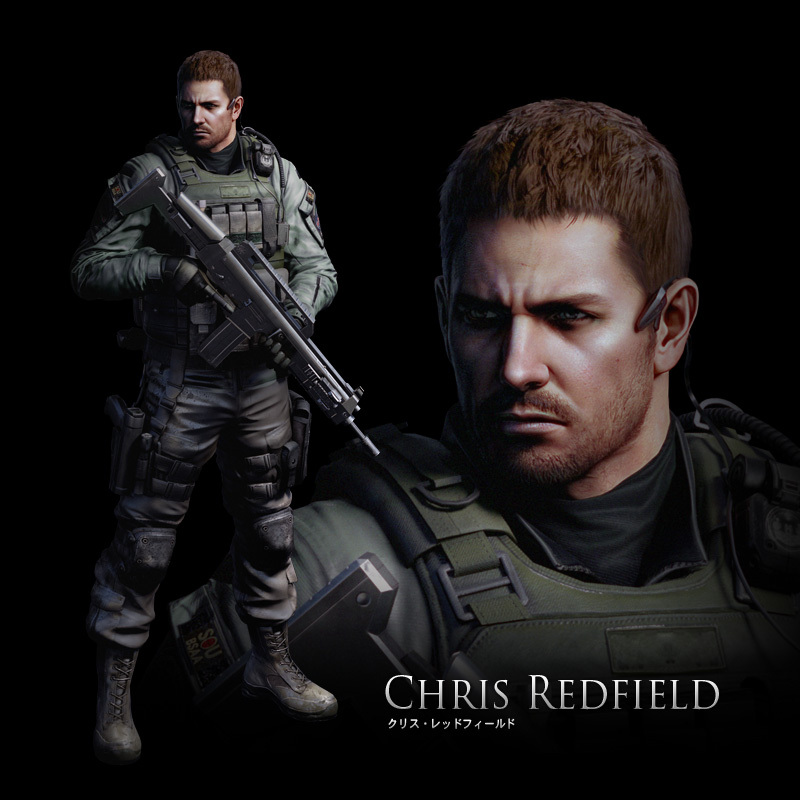 Similar to Chris Redfield, he is a member of the North American BSSA branch. As a naturally gifted sniper, it is said he simply cannot miss a target, and exhibits excellent concentration and sharpness. He can not only be characterized as a person with a strong sense of responsibility, but a person with an astute discernment. He is therefore not only considered an invaluable asset during battle, but can also lead and influence his comrades into the correct course of action while in the midst of manifold situations. Regardless of being a pensively diligent soldier, he strikes people as being both extroverted and of unbiased kindness. It are these qualities that makes him a totally trusted comrade of Chris Redfield, there is no doubt to why Chris regards him as the figure who will carry the BSAA on his shoulders one day. 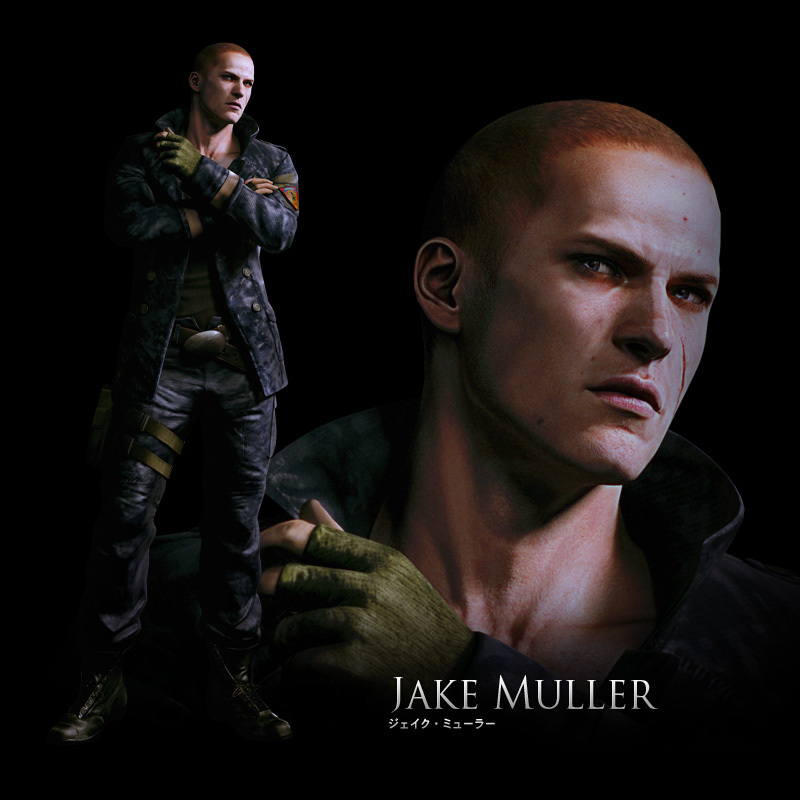 Jake Muller, the man who carries the cursed blood in his veins. Jake is a mercenary who galloped through the warzone of the republic of Edonia. Described as a land deep in poverty, where even the most basic nourishment is something unattainable, he lived in a house without a father. To rebel against this unfair fate for him and his mother, he chose the path of a mercenary and to become part of an antigovernment army. Trusting nothing and nobody, having lived with death by his side day after day, Jake’s mind was imprinted with two beliefs; “only rely on one’s own strength and money”. But before him, a woman appears unexpectedly – her name is Sherry Birkin. “You are the one who will save the world,” she says to him. All of a sudden, he is told ludicrous facts by her. Now, his new priority is to take on his responsibility in exchange for the usual pecuniary remuneration, and face the unexpected truth. The alleged truth that in his veins runs the cursed blood of Albert Wesker. Sherry Birkin, the woman sent off to protect Jake. 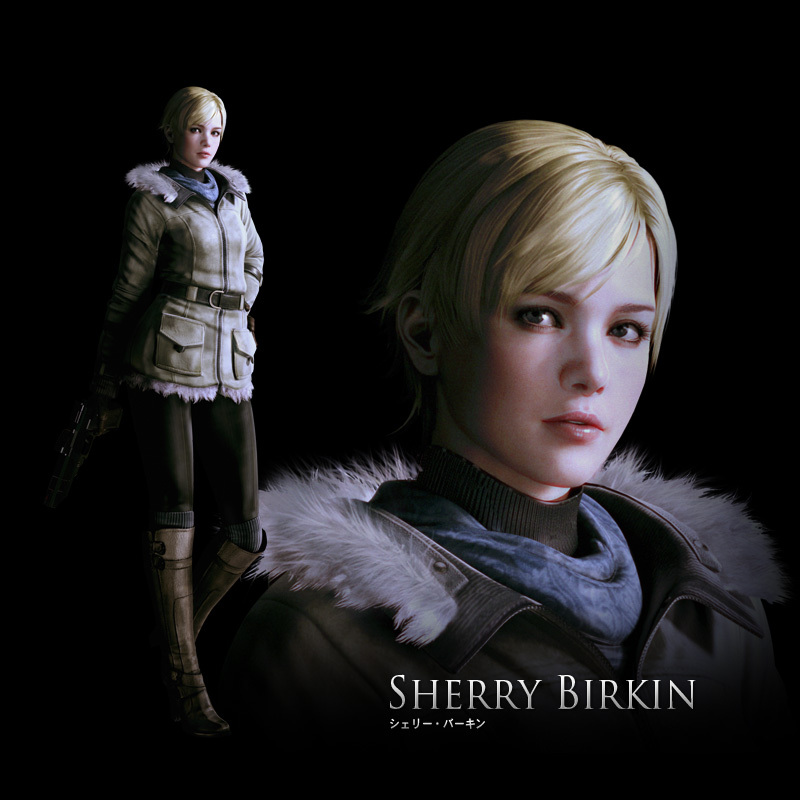 Sherry Birkin is the only daughter of the Birkins’ couple, the individuals responsible for the creation of the G-Virus, and subsequently, the Raccoon City Incident in 1998. 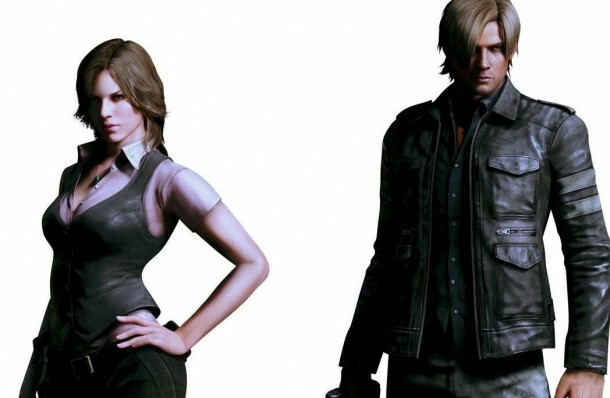 During the aforesaid incident, Sherry was able to escape from the hell-like city through the help of Leon and Claire, but her father implanted a G embryo inside her body, that resulted in turning her into an “object” of strict surveillance by the US. Several years later, running out of options, Sherry’s only bargaining card out of her captivity was to become an agent for the US. She never wants to be seen as the person she once was, to continue on stuck in the past without any future for her, ever again. Having kept deeply inside her a small hope, Sherry receives her orders now that she has entered the realm of agents. Her mandate is to sneak in the war-zone of the republic of Edonia, situated in Eastern Europe, and ensure the safety of a man, under the name of Jake Muller, who allegedly has been carrying some sort of special bloodtype. One really has to wonder whether the dramatic escape of the dutiful & gentle Sherry along with rebellious & hardened Jake will be able to become a ray of hope against the nightmarish ordeal that they will both encounter.